Let your interiors welcome sunshine with open arms. 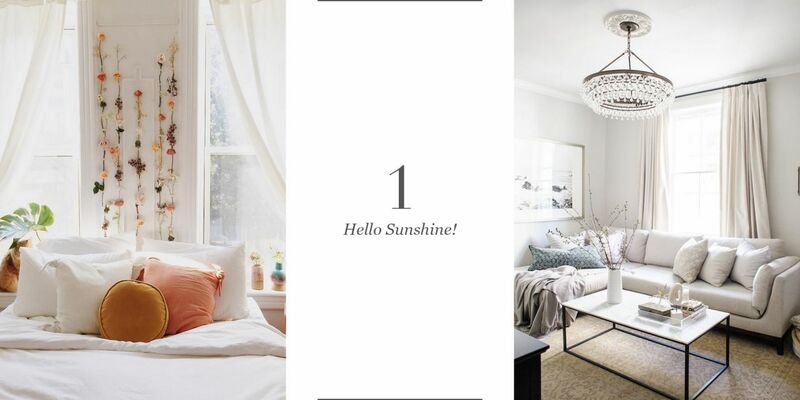 Take advantage of the natural light as much as you can to unfurl your space. Avoid using heavy drapes & curtains in fabrics like velvet or brocade as they will make the room feel darker and smaller. Try linen, cotton or sheer, instead! Another clever trick could be to use the same coloured drapes as your wall, thus creating an illusion of larger space. In today’s fast moving world, it has become a choice between space and style. The multi-tasking furniture is, thus, the perfect compromise between the two and indeed, from the looks of it, the future of furniture. 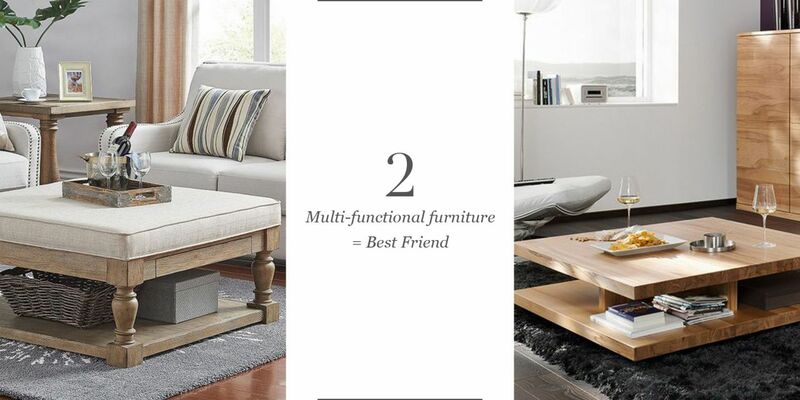 With neat & ample storage, intricate engineering, compact silhouette, these lightweight multi-functional furniture pieces can help you free up some space without compromising on your needs. Just because you have to decorate your walls with little vignettes on the shelf, doesn’t mean you go filling each and every exposed shelf in a room. De-clutter relentlessly if you live in a small space, leaving some empty spaces will give your small space an airy look. Connect each space and pull off one-color and tonal styling for a quick route to mastering the art of making small spaces appear bigger. 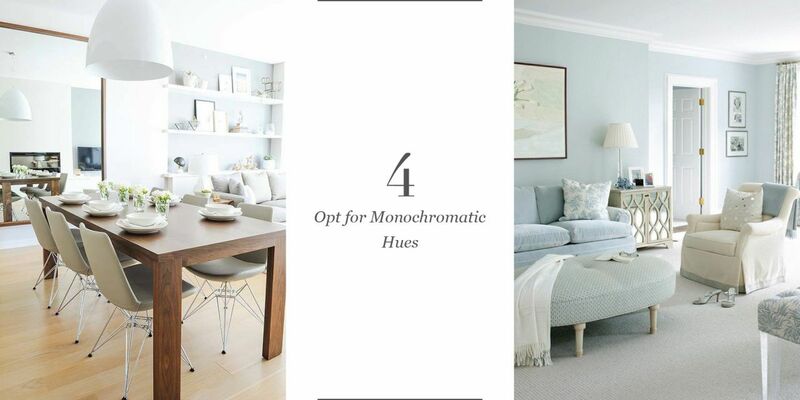 Have a color scheme that runs throughout the space. Don’t try to go for a different look/ colour in every area. 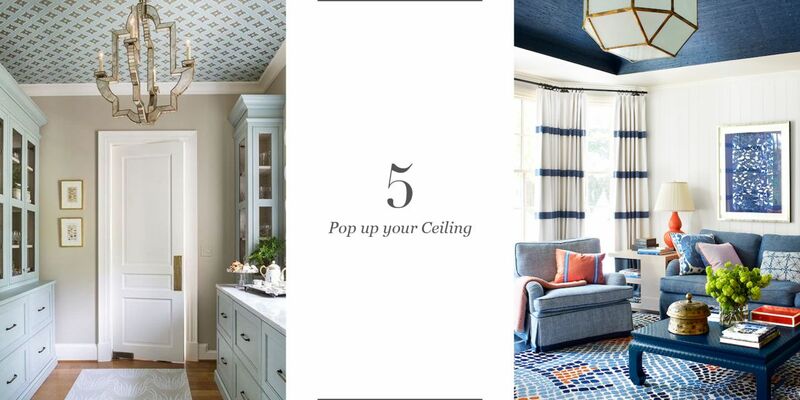 While driving the eye upward and creating an illusion of high ceilings, a bright colour or decorative treatments on the ceiling can increase the depth in a space vertically. Vertical stripes are incredibly elongating and have the power to make any space look bigger. 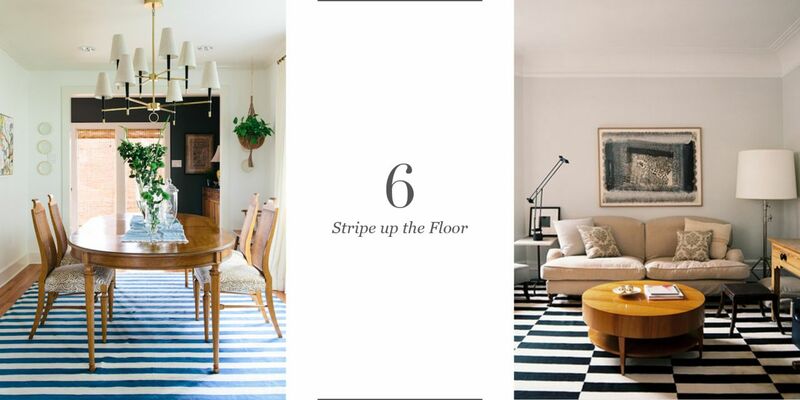 A striped rug on the floor will make your room appear like it can go on forever, thus creating an optimal effect. 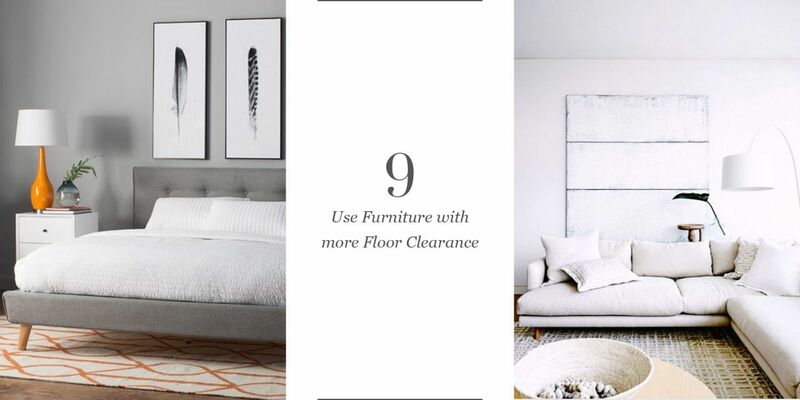 Opt for furniture that barely feels there. Furniture made in Glass, Lucite or Acrylic can be a brilliant way of making one feel there is more space than actual. Morever, such materials allow our vision to see further, and more of a space, thus enhancing the styling of a compact interior space. It’s easy to assume that you should decorate a small space with small furniture, right? 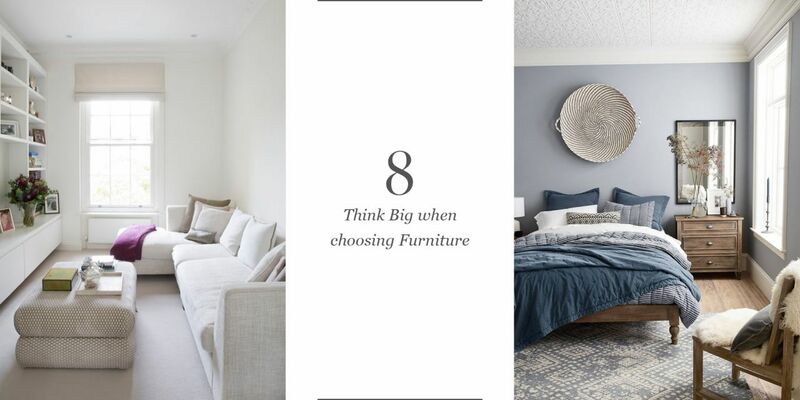 Instead of using too many small furniture pieces, play smart and get one statement piece, either one large bed for your bedroom or a three/ four seater sofa for your living room. This will give an illusion of continuity and thus fool your eyes to make a room feel spacious while decreasing the feeling of clutter. The bulky skirting on the sofa and those boxy chairs are your greatest nemesis. 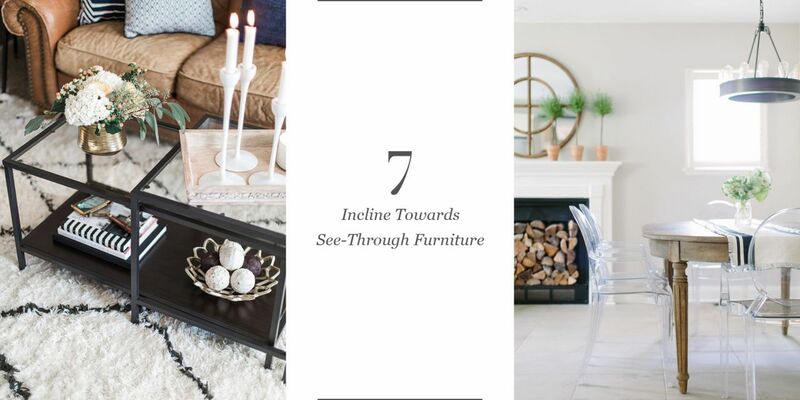 Opt for sofas and armchairs that are raised on legs so that there is enough light and space for your eyes to rest. 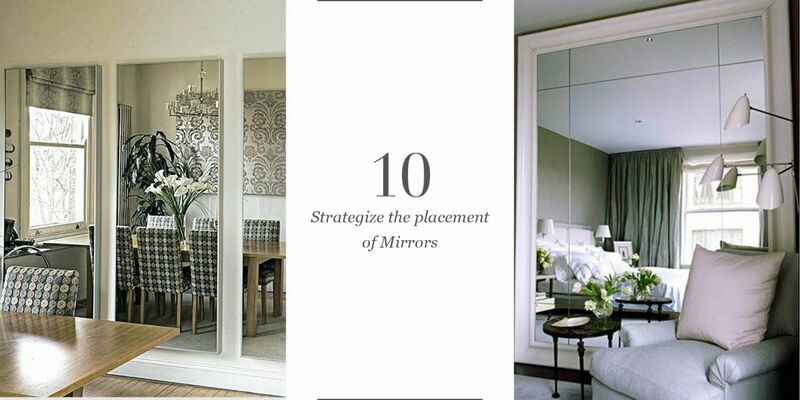 Mirrors are the quickest way to make a room appear larger - they reflect light and visually expand a space instantly! The trick here is to place a mirror across from a window to reflect maximum light and to make it look like a whole new space is tucked behind it. Thus, it is possible to live large in small spaces; all you need to know are some clever tricks!